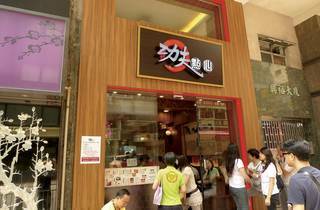 Following the success of Michelin-starred Tim Ho Wan and One Dim Sum, there has been a rapid increase of eateries specialising in dim sum. 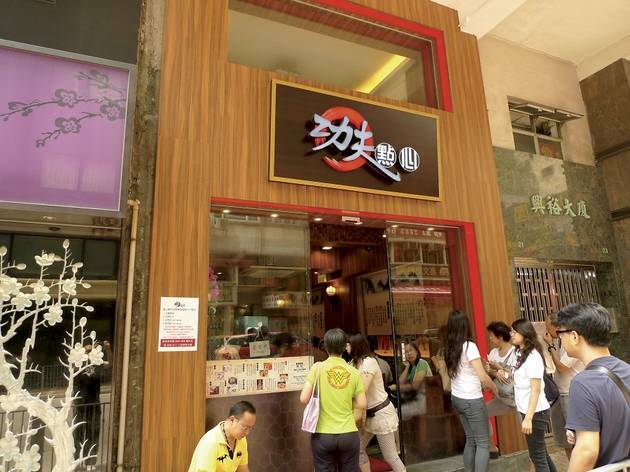 Among the newcomers is this Tin Hau restaurant. We arrived on a Sunday afternoon to find the two-floor place packed with people with a long queue outside the shop. Luckily the turnover of customers was really quick and we were seated after a brief 15-minute wait. The dim sum items are all prepared on an à la minute basis. The menu is divided into six categories (steamed, deep-fried, rice roll, rice pot, congee and dessert). To start, we had the double-boiled seafood soup ($28), which was delicately flavoured with a light aftertaste. Next, we tried several traditional steamed items, including shrimp dumplings ($12), siu mai ($10), char siu bun ($14) and Malay sponge cake ($14) – all served piping hot. The shrimp dumplings were really tasty with fresh shrimp fillings and a thin, non-sticky skin. The pork filling in the siu mai was juicy and meaty, but I would have preferred a more traditional version with less shrimp. The char siu bun was steamed just right – not too soft while retaining a bit of chew. But the pork inside was too sweet and thin. The Malay sponge cake was especially delicious, soft in texture and full of brown sugar sweetness. This is one of the must-try items. 21 Wing Hing St, Tin Hau, 2802 2888. Mon-Fri 10am-10pm & Sat-Sun 9am-10pm. Dinner for two: around $160.